This is a complete Hotel Property Management System with New Dell Optiplex Computers which come with a three year Dell warranty. Includes X-­Charge or PayPros credit card processing software. Hotels with an in-­house restaurant service may also wish to purchase a restaurant point of sale system as well. Plus Accounting Hotel & Property Management is a complete reservation and folio management System built on top of a complete business accounting system. This means in addition to running your Hotel, BPA Hotel & Property Management can help you track your inventory, your accounts receivable, your accounts payable, it can help you write checks and balance your bank account. It can run your payroll, track maintenance on your equipment, and provide all of your general ledger and accounting reports. It also provides over 260 business reports covering all areas of your business! Not only do you receive the Hotel & Property Management Software integrated with our complete Restaurant Point of Sale Software but you also receive Point of Sale Modules to run gift stores, delis, and catering. Includes BPA Restaurant Professional. If your hotel includes a restaurant, use our included restaurant touch POS module. This system is fully integrated, allowing you to charge meals directly to rooms. 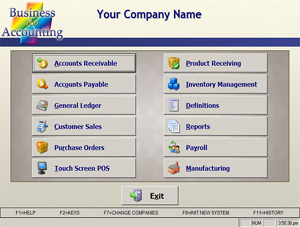 For more information about our BPA Restaurant Professional software, please view our Restaurant Professional web pages. Includes BPA Touch POS. Use our integrated Touch POS system for your gift shop or other retail shops or for creating charges to folios. 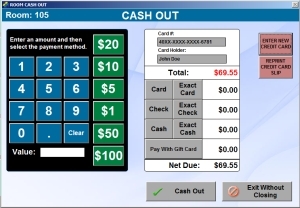 For more information about our BPA Touch POS software, please view our Touch POS web pages. Purchase our products with confidence. We are a software engineering company that has been in business for over 20 years and has over twelve thousand installations of our business products. When you call for support you will talk to qualified technicians and professional engineers. Other sellers are often simply reselling software from other manufacturers. Buying from Business Software Solutions, you are buying software direct from the manufacturer. This gives you a direct line of software support from the creators of the software, and decreases the price you pay for your software. Simple Navigation. 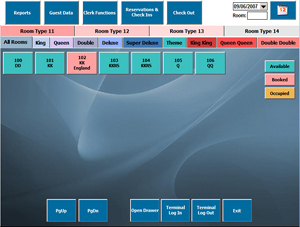 Functions for Reservations, Check-ins, Clerk Functions, Guest Data, Reports , and many other important tools are available right from the main Front Desk screen. Includes up to 14 room tabs which can be accessed without scrolling through categories. Over 14,000 items can be included in the menu. Each room tab has a unique color to make it easier to know where you are. Rooms on a tab change color based on their reservation status. Employees can clock in and out and can log in and out of the Reservation screen using the touch screen or using employee cards. Managers can use the touch screen or their manager password card to authorize restricted functions. The password system allows you to specify which software modules and functions each employee has access to. One business owner reported firing his whole staff after upgrading to Business Plus Accounting and finally being able to see how dishonest his employees were! BPA Hotel & Property Management is built on our Business Plus Accounting software package, and includes a complete set of business and accounting tools fully integrated with the Hotel Management system. 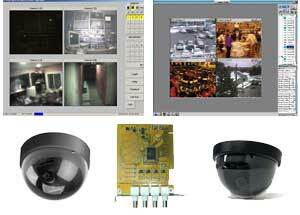 Includes an equipment maintenance and tracking module for tracking your Hotel's equipment. Hotel transactions are automatically posted to the General Ledger during end of day processing. On account hotel transactions automatically post into the accounts receivable module in the business system for statements and payment processing. These few features are just the beginning of what BPA Hotel & Property Management can do. Please see the feature list for more details! Business Plus Accounting Hotel & Property Management software is included at no charge with each hardware station you purchase. BPA Hotel & Property Management goes well beyond competing systems. This is by far the most comprehensive Hotel product on the market today. And knowing the expense and the risk new business owners face we are offering you this great software product for a support, upgrade and licensing fee of $40.00/month. 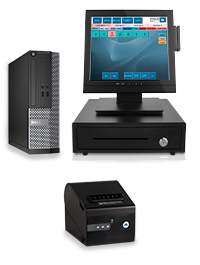 Multi User - When you purchase your hardware POS stations from us the software terminal license is always free. When you purchase your own hardware you are required to pay a software terminal license fee for each additional station.